Coding takes up approximately a third of our total teaching time not including CCAs (this is year round). 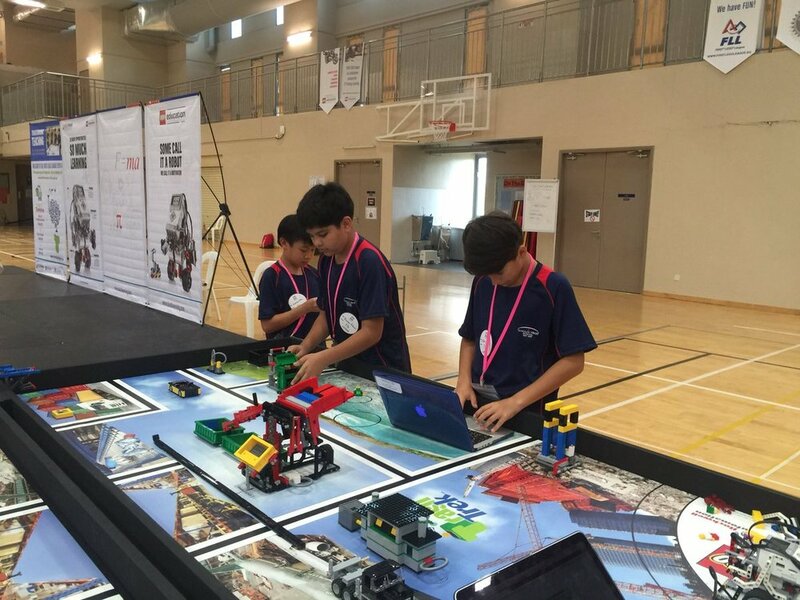 Within this there are 4 major projects across the year groups that includes the Singapore LEGO NXT competition. One of the newer projects is the switch to Raspberry Pi for Sonic Pi music coding (this can be done on anything incidentally but the Pis add a certain 'WOW!' ferver), old school shape and letter building algorithms in Scratch and using MakeyMakeys, RPis, cartons and speakers to build 'Operation' games - as seen in the link below. Their game is here. The projects lead our kids to, eventually, the kind of show reel in year 6. This is a term-long project that encompasses a portion of game design into the project. This is something I have learned about called 'Game Feel' while studying at California Institute. The idea behind this is that games, while they can be graphically appealing (and this is something I like my students to be aware of too) should have a hook or draw much like a book or film has to bring you back to the environment and re-play or continue playing. The materials we, as a team, read and use as a reference point are here. The show reel the Year 6 students create, builds on the WWII topic they are studying and splicing the locality, Singapore, into a historically engaging game based on events in the 1940s. The success of this is largely determined on a few factors and this is down to wholesale student enthusiasm. The games that were the best were'nt built by the best coders. They were built by the kids whose determination levels higher. The boys who won the FLL on the right are testment to this. 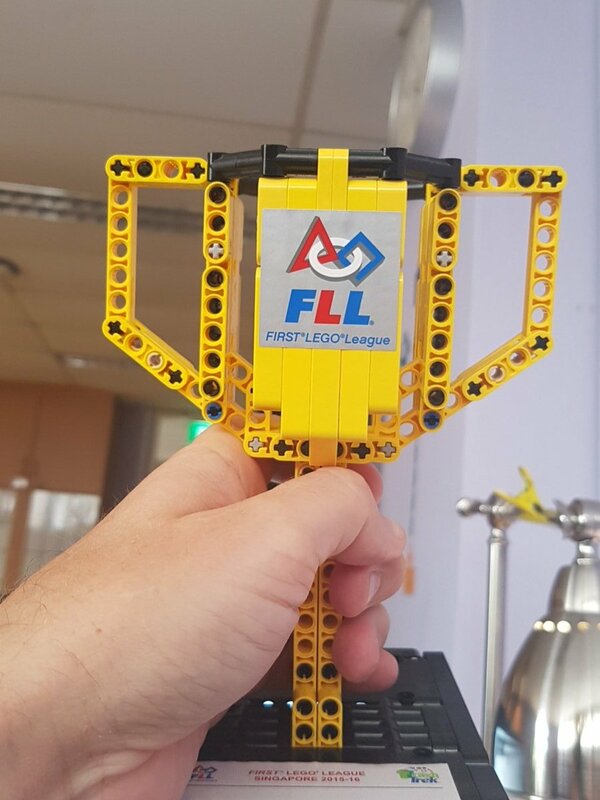 Following on from the success and fun we had at the FLL, I wanted to create a regional competiton that centered on games, music and general restrictiveness that kids don't really encounter in school projects. The games kids produce in Scratch are relatively simplistic in nature: a maze, a platform and some kind of element where they bump into things making a noise. All good and fine. However, when restrictions are put in place, children have to be a little creatve to bend the rules. The competition meant that the the entrants could only use regular polygons and creative soundscapes to enhance gameplay. Many rules were bent. 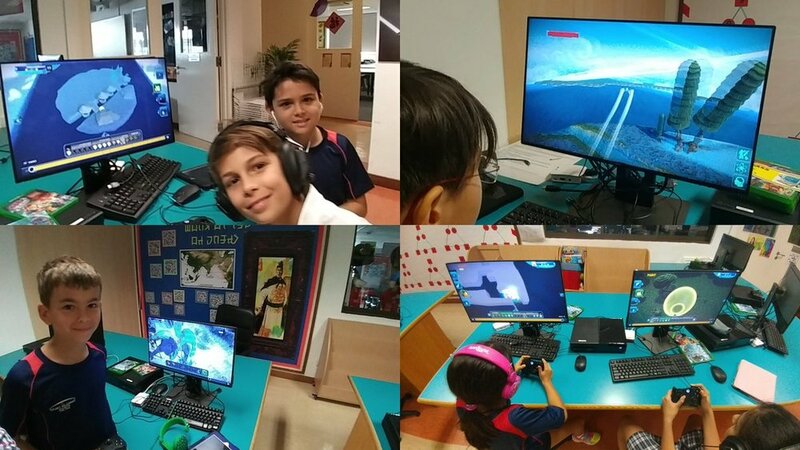 The other rule was that it was hosted on a single day (live streams from all schools below) and students got points and prizes based on speed and accuracy of the final game. This is the Scratch Day animation for Year2 and Year 3 Children on the day. They will have lots of fun making this and chanting the song. If we have time we'll put their faces into the animation rather than Mr. Squirrel and Mr. Lobster. N.B. These lessons and resources are in no way finalised were very much a 'work inprogress for everyone to edit". Needless to say but you are welcome to download and deconstruct. This is a series of scratch programming lessons for every year group from Year 1 to 5. Year 6 will be coming shortly but the premise of this is that I work on it to get it a bit tighter in terms of progression and pitching it just right. The thing is, if your school doesn't have a specialist teacher then it might be best to rip them apart and mix and match as you see fit. The whole school have been working on Scratch for the end of term 2 projects and these are a range of simple turns and effects/ key presses right through to a full scaled game with several levels focusing on paltform type games. You and anyone are free to download and edit the files, videos, and slide shows as you see fit. I would like though, to have some kind of discourse should there be improvements made to any of the files. Should there be a clearer video or anything like that. You can contact me via the form inthe contact link above.